A convicted triple killer from central Missouri is scheduled to be executed next Tuesday in Bonne Terre. 37-year-old Mark Christeson has been convicted of three counts of first degree murder and is under three death sentences. 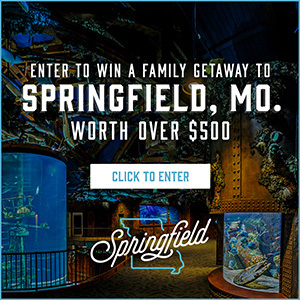 Christeson and his cousin, Jessie Carter, were convicted of killing Susan Brouk, 36, and her two children near Vichy in mid-Missouri’s Maries County in January 1998. The children were Adrian, 12, and Kyle, who was nine. Authorities say Ms. Brouk was raped and her throat was cut. She was thrown into a pond and drowned. Kyle Brouk was stabbed and held under water, to drown. Adrian died from suffocation, and her body was also dumped in the pond. Christeson and Carter were both captured in the state of California in February 1998. Carter later testified against Christeson. Carter, 36, is serving a life sentence at the maximum-security prison in Bonne Terre, without the possibility of parole. 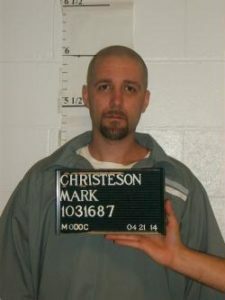 Christeson is currently incarcerated at the Potosi Correctional Center in Mineral Point. The Missouri Department of Corrections will have to transport him to Bonne Terre, where executions take place. The Missouri Supreme Court scheduled the January 31 execution back on October 12. Christeson’s attorneys are trying to block the execution. He’s scheduled to die by lethal injection.